Central district of a city where the main cultural, economic and commercial activities are carried out. 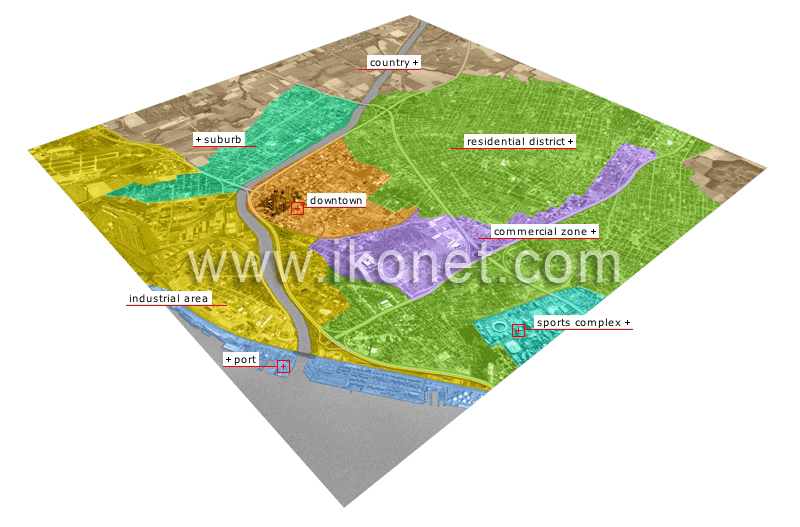 Land and housing outside an agglomeration. An outlying city that depends economically on a big city. Zone reserved almost exclusively for business. Zone reserved almost exclusively for industry. Area designed for shipping activities. Zone reserved almost exclusively for housing.